DIRECTV using RDBS? What does it mean? Remember almost two years ago… when I told you all about Reverse DBS, the technology that could let DIRECTV get a lot more use out of its bandwidth? By using the frequencies it’s reserved for sending stuff up to its satellites, and using them for sending stuff back down, DIRECTV gets a lot more channel capacity. That’s important if you’re talking about 4K channels which could take four times as much bandwidth as HD ones. Of course you remember that DIRECTV’s latest satellites have some capability to do RDBS, but it’s always been stuff they’ve tested. It hasn’t ever gotten to where customers could ever use it. That could be changing. None of these options were there before. While dish type 20 seems to be a slightly different version of the existing SWM13 dish, the next two seem to be RDBS dishes in Slimline-3 and Slimline-5 configuration. You would need a special dish, or at least a special LNB, to be able to get RDBS frequencies, because the current dishes don’t have any sensitivity to those new frequencies. It’s not known whether or not these are SWM-enabled dishes, or whether there will be an external SWM that works specifically for those frequencies. One thing is for sure, though, DIRECTV’s up to something. As far as I’ve been told, the HR54 Genie is the only DIRECTV product that could possibly work with these new frequencies, which makes you think that they’re only going to be used for 4K. There really isn’t anything about those frequencies that would stop them from being used with any receiver, if its software was updated to look for them as part of a SWM system. It would be hard but not impossible to retrofit a non-SWM system for RDBS, which is another reason that you want to make sure you’ve made that leap to SWM. It really is the only way DIRECTV’s going to go in the future. One thing that’s not clear is whether or not the AT&T merger has any effect on this plan. This sort of thing is planned years in advance so there’s time to get the necessary permits (this is broadcasting and therefore the government is involved) and you have to get build contracts for the hardware, develop the software, etc. It’s possible this has all been in the works for 5 years or more. After all the satellite’s been up in the sky a while, right? It’s clear looking at this little change that despite the rumors, DIRECTV and AT&T are not moving away from satellite television. There’s a very large and expensive fleet of satellites in the sky and it looks like as long as there’s demand here on earth, there are going to be broadcasts from above. Now as for 4K… what we really need now is some content. 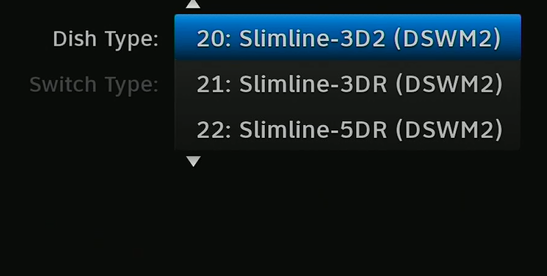 DIRECTV Cinema is only going to go so far, so where are the channels that are ready to broadcast in 4K? There isn’t a single 4K live service anywhere in the US. There are some test services in Europe and Asia, but in terms of a real 4K channel, there’s nothing. So, figure it could be 18 months or more before there’s anything you actually want to watch. But at least DIRECTV will be ready. Which is more reliable, cable or satellite?